The inimitable David Tibet returns to House of Mythology for a second inspired collaboration, this time teaming up with shape-shifting Italian ensemble Zu. Unlike his more spacey and indulgent union with Youth, however, Mirror Emperor feels very much like a Current 93 album. That similarity is not due to any lack of vision on Zu's part though, as this album is very much driven by a David Tibet in peak wild-eyed, apocalyptic prophet form: Mirror Emperor is essentially a fiery, hallucinatory, and poetic tour de force that drags Zu down a deep rabbit hole in the UnWorld on the other side of the mirror. As such, Mirror Emperor is a dazzling and compelling album primarily because Tibet had a vivid vision that he breathlessly shares with an incandescent passion. The music is often quite good as well, of course, but Mirror Emperor is more of a lysergic epic poem than a collection of discrete songs. That is just fine by me, as few things are more captivating than pure, undiluted Tibet with a microphone and some strong feelings to share. David Tibet and Zu first met in Rome about seven years ago, but Massimo Pupillo has been a lifelong Current 93 fan, which seems to have made him an especially sensitive and thoughtful collaborator. I suppose it could be said that Mirror Emperor falls roughly in the same aesthetic territory as Myrninerest or classic Cashmore-era Current 93, as Zu largely devote themselves to ringing arpeggios, strummed acoustic guitars, and moaning cellos. Mirror Emperor sounds like something other than folk though, more closely resembling some kind of timeless and dreamlike chamber music. More importantly, Zu tend to wisely cede the foreground to Tibet, as he is a force of nature here and they mostly just needed to avoid stepping on his toes or breaking that otherworldly spell in order to create a great album (simply give Tibet a pen, step aside, and watch the fireworks). That said, Zu were not at all timid or one-dimensional–they were just very tactful about picking their shots and choosing when to allow their hallucinatory reverie to erupt into something more forceful. The most prominent Zu eruption comes quite early with "Confirm The Mirror Emperor," which resembles a sludgy and Sabbath-inspired metal groove that has been sucked dry by a vampire, leaving only a thick and sinuous bass line. That absence of distorted guitars leaves plenty of space for interesting activity in the periphery though and Zu made the most of it, embellishing the piece with woozily swooning slide guitar, shuddering cellos, and something resembling erratic, cascading autoharp ripples. Zu also take center stage in more subtle fashion on "The Heart of The Mirror Emperor," weaving a simmering and throbbing soundscape of electronics and tape loops. Eventually, the piece boils into a crescendo of quavering washes of distorted chords, yet it is otherwise one of the most tender and quietly beautiful pieces on the entire album. Notably, there is also a brief, brooding interlude of murky ambiance sans Tibet near the end of the album, but Zu are largely absent as well, as the piece is essentially just a brief glimpse into the howling void. Most of the strongest pieces unexpectedly come near the end of the album. 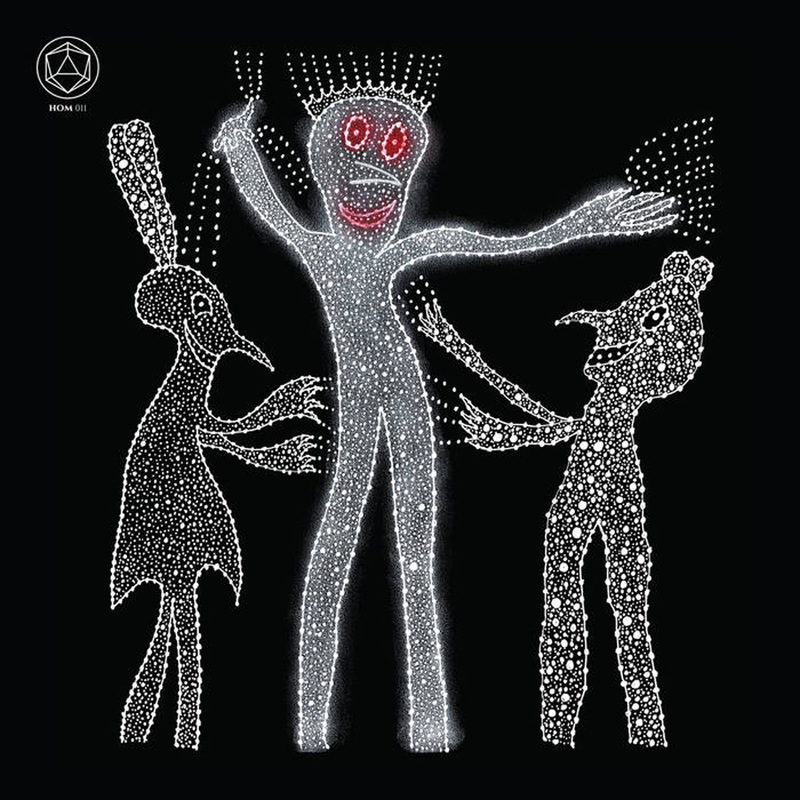 The first is the languorously lovely "(The Absence of the Mirror Emperor)," which wonderfully recaptures the magic of All The Pretty Horses-era Current 93. A lot of that success is probably because it is one of the few pieces on the album that feels like an actual song, as Tibet's near-spoken-word delivery crosses the line into fleeting and beautiful snatches of melody. Zu's accompaniment is especially inspired as well, as the strummed acoustic guitars are gorgeously embellished with a delicately ringing harmonic motif and quivering, hauntingly lovely snatches of cello. It also features the best closing line since Tibet dropped a "Sincerely, L. Cohen" on the Myrninerest album (this time, it is a snarled "Hey, was that the apocalypse?"). The following "Before the Mirror Emperor" is another highlight, as Tibet sings a tender and lilting melody over a sublimely beautiful backdrop of chiming arpeggios, groaning strings, spectral drones, and buried field recordings. Elsewhere, the brief and hopeful “The Imp Trip of the Mirror Emperor” is similarly lovely, as Tibet sings a languorous melody over a dreamy web of rippling and quivering arpeggios. It is noteworthy that most of the best songs seem to have a hopefulness and innocence to them, as Mirror Emperor's premise seems to be a fundamental dark one. The album is considerably more complex and deliciously ambiguous than the broad outlines of its dark fable suggest, however, as the arc flows seamlessly and assuredly through passages of light, shadow, density, and delicacy. It never gets dark enough to be truly harrowing, yet it does achieve a sublime transcendence at points. No darkness is ever complete enough to fully smother beauty and wonder, even though it sometimes feels otherwise. It is redundant at this point to observe that David Tibet is a iconic and oracular artist, though it is sometimes easy to take him for granted, as he has been releasing brilliant albums for decades. However, a bold vision and near-Biblical intensity alone do not always translate into immortal work, as the metaphorical stars still need to be perfectly aligned for a fresh masterpiece to be birthed. Happily, those maddeningly unpredictable and obstinate stars were quite close to their marks when Tibet and Zu came together, as this album is one of the most focused, consistent, and vividly evocative releases from Tibet in years. In fact, I suspect I will be finding hidden depths and meanings in it for months to come (especially once I splurge on the vinyl to get my hands on a lyric sheet). To borrow Tibet's own parlance, I am ecstatically OverMoon to announce that Mirror Emperor is an especially powerful Channeling. This is truly something deeper and more profound than a mere album–this is a vividly constructed world and mythology that mirrors our own, but shimmers with ageless dark magic and layers of sublime mystery. Years from now (if people still read), I truly believe David Tibet will be justifiably regarded as the reawakening of the lost visionary poet tradition. If he is not the modern day heir to Blake and his progeny, there simply isn't one.